I can’t tell you how much I’ve been loving dressing festive for the holidays these past couple weeks. Ah, I just love it – the sparkle, shine, sequins…bring it on. And of course, like the majority of my wardrobe year round, I love outfits with color. This fuchsia skirt is such great rich/saturated color for the holidays + it’s easy to pair with basics you already have in your closet. I, of course, opted to add a little texture + shine to the look with a sequin sweater + metallic clutch, but you could easily jazz this beauty up with a simple long-sleeve or button down blouse. Hope y’all are gearing up for the holidays – I know I’m counting down the minutes! Love the color of the skirt, perfect for the holidays! In love with this outfit! So fun! 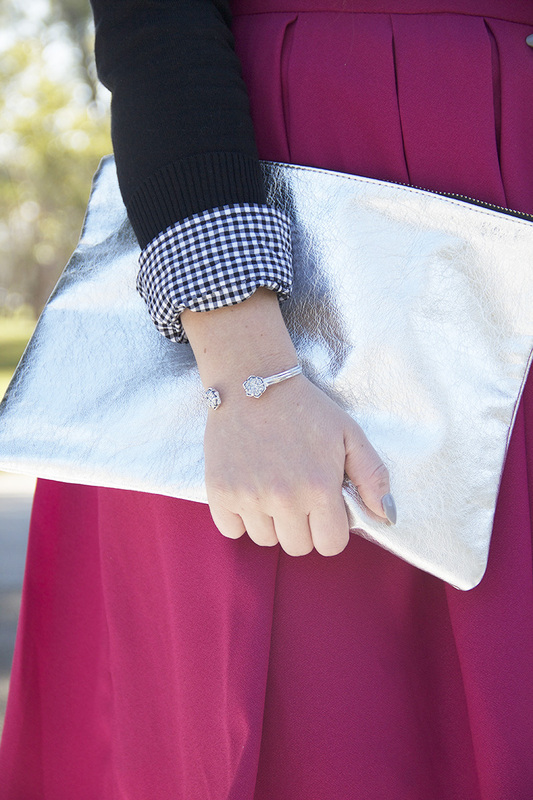 Giving away up to $50 dollars of monogrammed jewelry on the blog today! Don’t forget to enter! Ha wearing something similar-ish on my blog today! love your combination of sequins with that fun skirt! Sequins and a fuchsia midi skirt?! This outfit is absolutely fabulous!! I love that skirt so much! Paired with the silver clutch it looks even better! I love how you layered this gingham shirt! 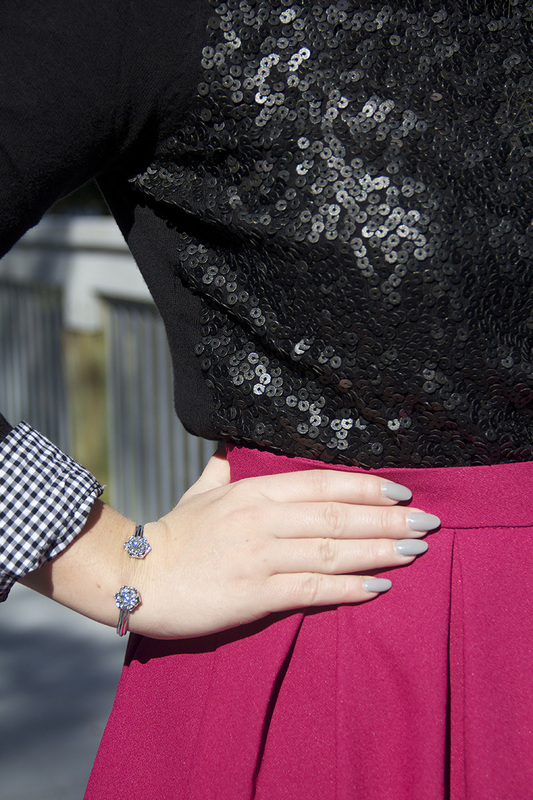 Super adorable look that is just perfect for the holidays! !